Great view, friendly staff and a quick walk to the beach! Thank you so much for this wonderful review and rating of the Dunes Condominiums. 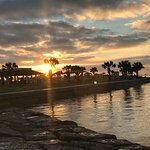 We are so happy to hear that you had such a wonderful time with us on your recent Port Aransas stay and loved our staff as well as property! Thank you for sharing your experience with us and we look forward to seeing you again soon in the future. Warmest Regards. The price you found is 42% lower than this hotel's average rate of $109/night. The price you found is 35% lower than this hotel's average rate of $124/night. The price you found is 37% lower than this hotel's average rate of $134/night. The price you found is 23% lower than this hotel's average rate of $81/night. Unit 406 The unit had bed bugs. We reported it to the person on duty but no response from management or the owner. There was major renovation going on in the lobby disabling one of the two elevators. Expected at least an apology for the bed bugs - what a hassle!!! It is unfortunate to hear this about your stay at The Dunes Condominiums. We have a great reputation of excellent customer service with all of our guests so we were surprised to read about your review. Upon your departure, the front desk noted your comment of having pests in the condominium. Bed bugs were never mentioned or reported. As a standard protocol, The Dunes Condominiums contacted an independent professional pest control company to inspect the unit. After the inspection was made, the pest control company notified The Dunes Condominiums that they did not find any pests in the unit, and also did not find any bed bugs. We are sorry that you did not have a positive experience with us and hope that you come see us again soon. 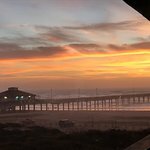 Beautiful sunrises on one side and beautiful sunsets from the front deck and a water view from every condo---and a water view to boot!! Comfortable condos and a staff that makes you feel like family...what more could you ask for in a winter sojourn. Lynn, Thank you for leaving your five star review! We are so pleased to hear that you enjoyed staying with us while escaping the the winter weather, and got to enjoy some fabulous views! we look forward to having you join us again next year! Great view, extremely close to beach! I've stayed at the Dunes twice and from now on this will be my choice for Port Aransas. 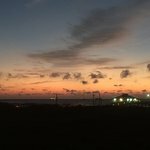 It has many good qualities, the best being the location -- steps from the beach and very close to just about anywhere in Port A that you need to go! The first time we stayed on the 8th floor facing the ocean and the views were terrific, so of course I requested that room again and made the reservations far in advance. I was a little bit disappointed when we arrived and they had put us on the 2nd floor -- I really enjoy being high up -- but once I realized we were a short down the stairs from the hot tub and pool, and the condo was in excellent condition with a fully renovated kitchen, I got over it. We ended up having the greatest time. Five of us split the cost which brought it down to very reasonable and there was plenty of room. I highly recommend the Dunes. 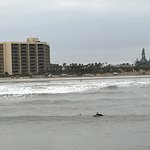 I go to Port A a lot and have stayed at many other hotels and condos and the Dunes is by far the best. Get the 4 nights for the price of 3 special and you will wish you stayed longer! 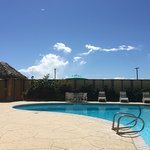 Thank you so much for leaving us your review about staying with us in Port Aransas. We are so pleased to hear that you have enjoyed staying with us on multiple occasions and always enjoy your room. We look forward to having you back next time! Well......been staying here over 25 years so I must like it! 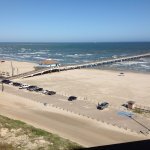 It's the only place to stay that's truly on the beach in Port A. And the pool is always delightful. And the staff is fantastic. Condos individually owned so all different. All have balcony where you can see beach, pier and ship channel. The ninth floor is my favorite but I've never stayed in a bad unit. Check out their specials. You won't regret it. Room tip: Highest floor has better view. Get up to watch the sunrise. Cathy, We truly appreciate your continued support and business while staying with us at the Dunes Condos. Thanks so much for taking the time to leave us your five star review, we are so happy to hear that you have enjoyed staying with us for over 25 years! Thank you so much for leaving such a wonderful five star review! We are so thrilled to hear that you have continued to enjoy staying with us and we look forward to seeing you again soon to enjoy our million dollar view and pristine beaches!